Known as the superhero who takes out leftovers from the buffet table, Bagneto takes no prisoners (when it comes to restaurants). His super powers include being able to have an endless appetite so it is impossible for this person to say "I'm Full!". This is one guy you shouldn't invite to your party unless you don't want the other guests to eat. As an ordinary citizen at day, feed him Bagnet and he turns into an anti-crime superhero that criminals don't want to mess with at night. 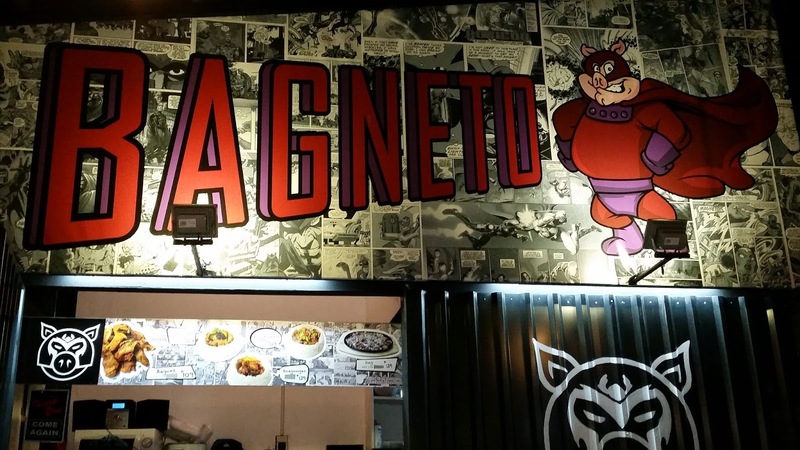 Today, his legacy lives on through this Bagnet themed restaurant inside The Zone, an outdoor food court located at 33-A Malingap Street. Bagneto CEO Raz tells us that Bagneto was always an inspiration for him growing up and we are pretty sure a lot of people idolized this superhero when they were kids. I mean, have you ever seen a superhero as fat as Bagneto and still fight crime? Bagneto opened last May 30 with the theme being all their dishes are bagnet based but with different flavors. When we visited them, I forgot to bring my Bagneto trading card but I am sure he was there in some shape or form (getting eaten by us that is). Since Raz is from Bicol, the Bicol Express (P129) is his hands down favorite. I tried it and the sauce is really good but I could not take the spiciness of this one because I have a low tolerance on spices. 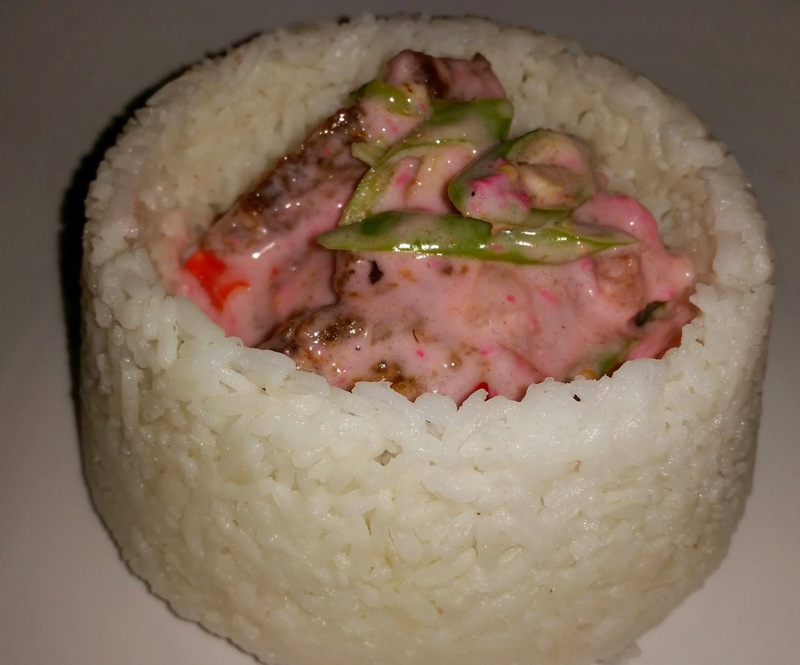 I loved the way they presented the meals with a huge cup of rice and the meat in the middle. It was pretty creative to say the least. 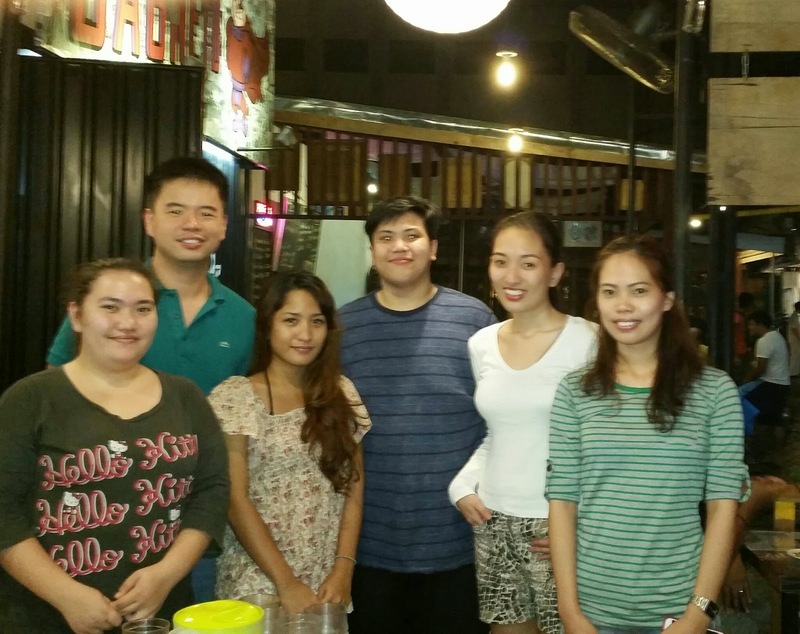 The Binagoongan (P129) actually belonged to me since me and the rest of the bloggers had one dish each. It had that irresistible sauce that I would always crave for. The fact that bagnet was there instead of pork cubes made it even better. My favorite is the Kare-Kare (P109) and it even comes with bagoong. 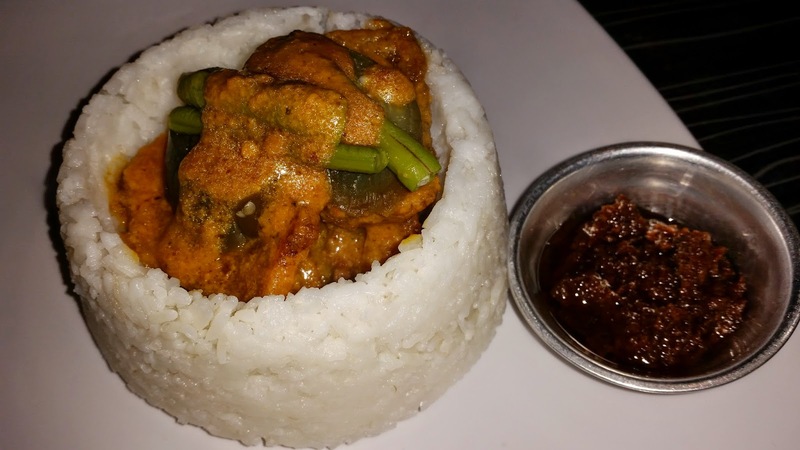 It is hard to turn down bagnet with vegetables mixed with peanut butter sauce. It's a shame it went to another blogger. For those who like their Bagnet the traditional way, the Bagnet with Rice (P109) would fit you just fine. It will give you the feeling that something is missing though so it won't be long before you go with the other flavors. 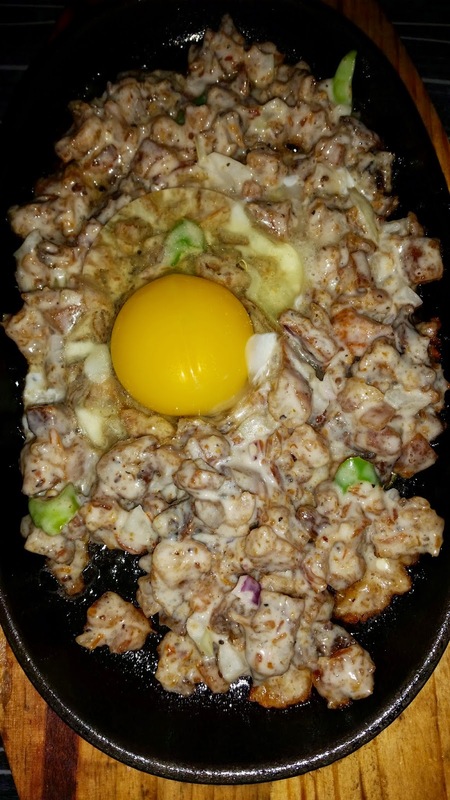 The Bagnet Sisig can either come with egg (P145) or without egg (P129). I actually preferred it to be with egg. 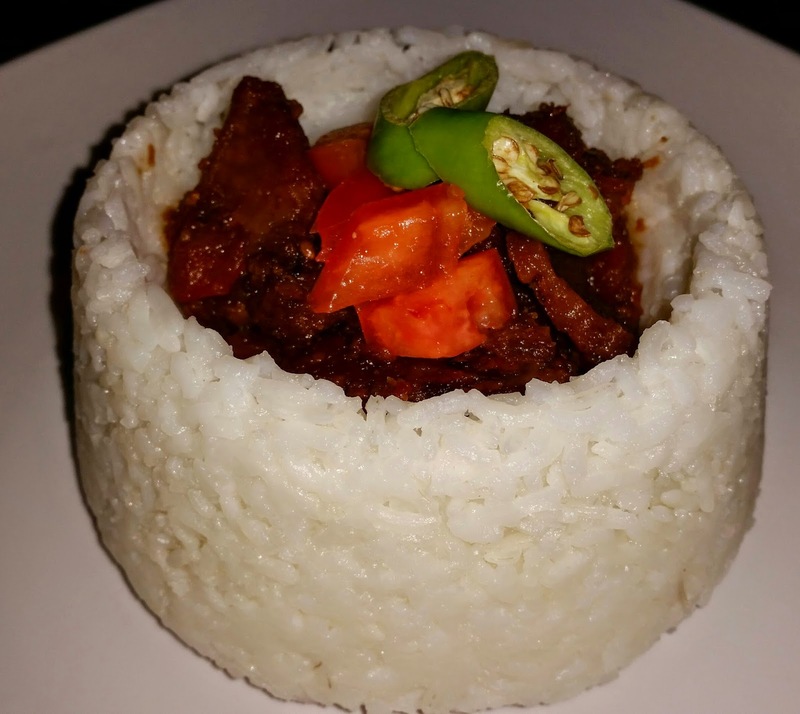 It is the type of dish that would make you order several cups of rice. 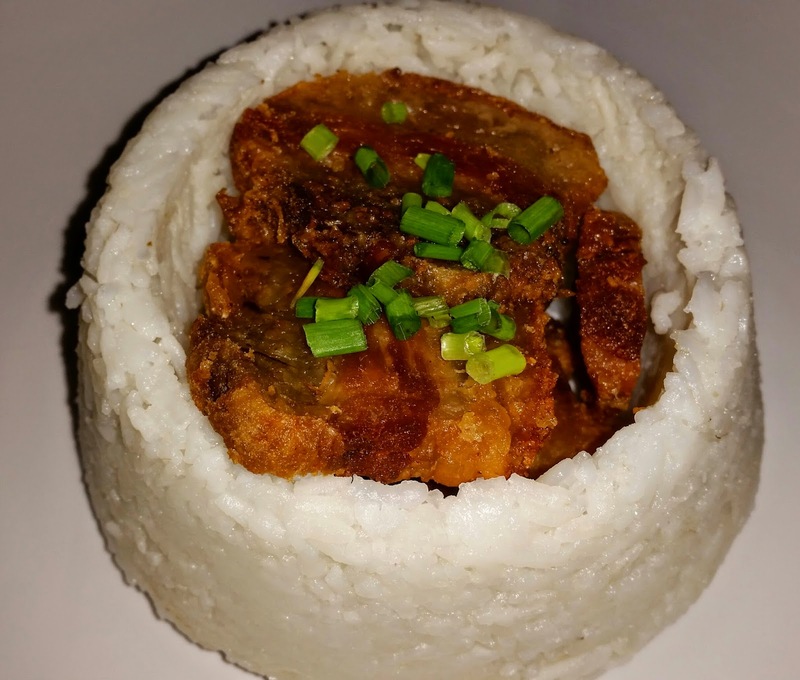 Though I'm not a fan of pork, these bagnet-inspired dishes seem palatable and tasty. Truly, they cannot be eaten without rice. Yummy!